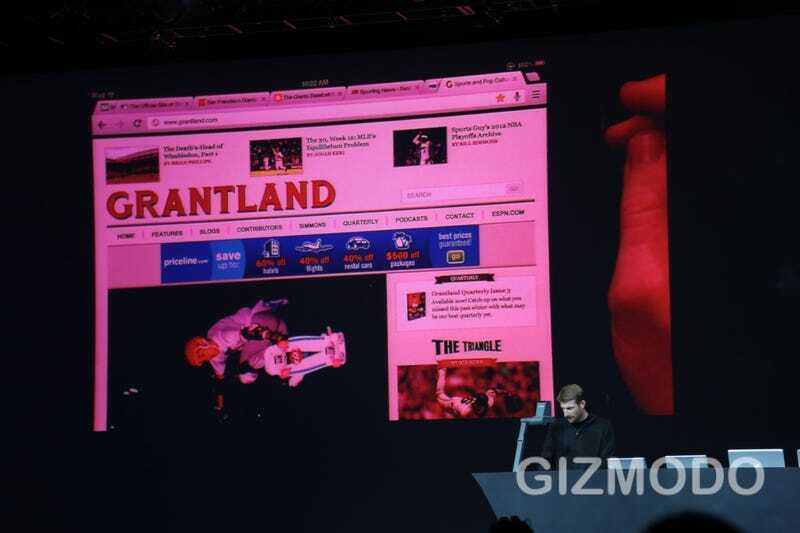 Google announced at day two of I/O that Chrome is finally coming to the iPhone and iPad. If you've been waiting for the browser you'll be glad to know you can download it this afternoon. It's the same Chrome you know and love, including tab sharing, password sync, and incognito mode. It works pretty much as you'd expect—when you want to switch tabs, you just swipe one aside. It's about time Google's browser has come to iOS, and we can't wait to give it a try. Check back this afternoon for a hands on.